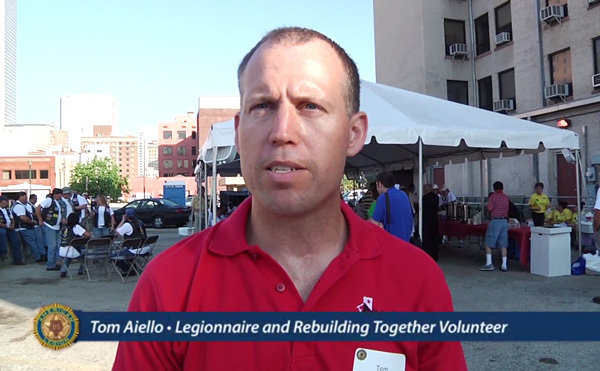 The veterans staying at the DeGeorge at Union Station homeless shelter now have new carpet, newly painted walls and new ceiling fans – thanks to the combined efforts of The American Legion family, Rebuilding Together and Sears’ Heroes at Homes program. DeGeorge is open to male and female veterans; residents pay a minimum of $50 a month up to 30 percent of their total monthly income for rent, capping at a maximum of $417 per month. The center pays all utilities, and each room has a small refrigerator and microwave. There is a community kitchen available to all residents.